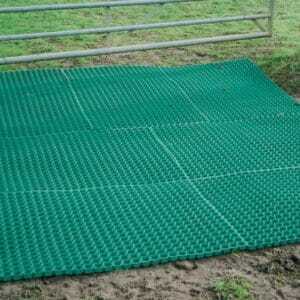 Ground stabilisation mesh makes a perfect reinforcement for grass and embankments or as underlay for honeycomb mats. 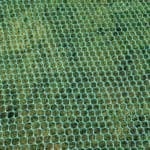 An open weave green coloured plastic mesh, supplied on a roll of 30m x 2m x 2-3mm (98’ x 6’6”). This ground stabilisation mesh is a very quick and simple to install. 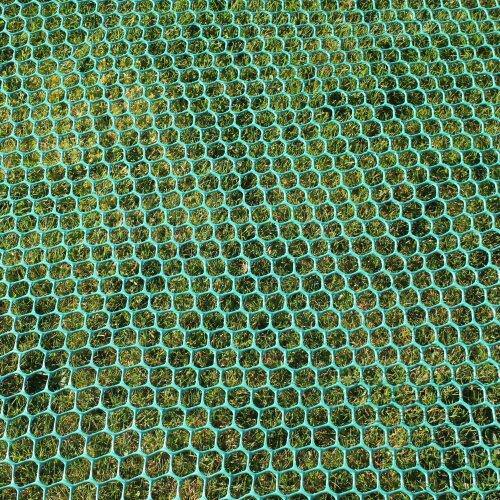 Designed as both an underlay for our M5 family of honeycomb grass mats, and also on its own, as reinforcement for grass and embankments. 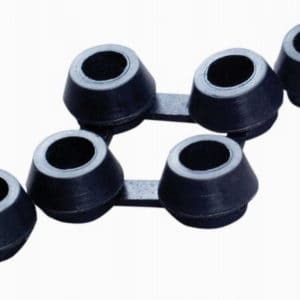 It is capable of supporting up to 1 tonne per m2. 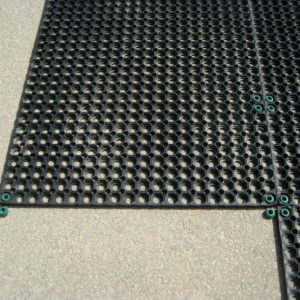 When installed under Fieldguard honeycomb grass mats the mesh helps to support them by stabilizing the ground. It also prevents sinking in very muddy and wet conditions. In effect it is taking the place of the nonexistent grass roots, so essential to the stability of the honeycomb mats. The combination not only obviates areas of mud but subsequently produces healthy grass growth. In very well used grass areas, such as playgrounds, or regular vehicular use, such as caravan or car parking, it is an advisable addition to the non slip and safe M5 honeycomb mats. It is ideal for protecting grass and lawns. Used on its own, under light use grass will very quickly grow in to the mesh; creating a strong & stable reinforced grass surface. However, because it is slippery it is unsuitable for regular pedestrian or equine traffic. In those situations it should be used as underlay reinforcement for the M5 honeycomb mat family. Due to its thinness it cannot be used alone in very muddy areas when new grass growth is required.